There are a number of reasons why a wet basement is experienced. This may be due to a damaged pipes, leaked roofs or flooded floors which commonly take place during flooding disasters, hurricane or typhoons. Hence, when your household has a wet basement, calling Clearway Restoration is the best solution. 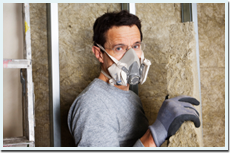 We have the best restoration services in Santa Clara and we always ensure to deliver quality services at a reasonable price. In fact, our reliable and excellent services are delivered by our licensed technicians who have a great amount of experience in this field. 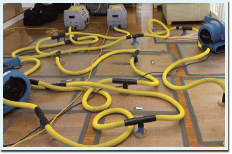 They do not only receive the necessary trainings for water damage restoration but they are also equipped with high end tools for removing the water and drying the wet area. Procrastinating a wet basement can lead to several damages later on. As time goes by, the water that lodges the basement area can soften other areas of the house and causes moisture that attracts mold and mildew grow. Eventually, you will need to replace all the materials in the basement and repair some of the furniture that was damaged. Thus, it is necessary to seek professional help right away. With Clearway Restoration, we never delay any of our services. Once you call us, we immediately respond and go at your location so that we will know the condition of your basement and identify which areas need to be repaired or replaced. We will not only extract the water in it but we also dry it up through our high end equipments and techniques. All these services are made possible by our professional technicians who are expert in this field. They are fully licensed and have received the necessary trainings for water extraction and damage restoration. Plus, they are geared with experience and equipments that no other companies can provide. 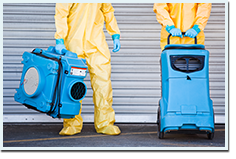 Our water damage restoration services in Santa Clara are one of a kind and we deliver it with excellence and great expertise. Some household owners simply clear the wet basement with their mop and other cleaning materials because calling an expert would allow them to spend much. 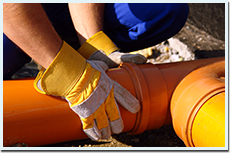 With Clearway Restoration, we give reasonable prices in all our services so that all household owners in Santa Clara can afford and will not hesitate to ask our help. We want to provide a clean and peaceful home in our community that is why, we do not charge expensively and we do not ask for hidden charges.